Everything from Armstrong to Zydeco! Come listen and walk (or maybe dance if you are so inclined) your way through one of the oldest and most musical neighborhoods of New Orleans. Learn why they say, “All Music (at least American Music) is born in New Orleans! As you walk from location to location LISTEN as your tour guide plays you some of the best and most historically important music in the history of our great city. Once you get to a location LEARN about what you just heard as your tour guide places it and its performers into the greater musical and historical context. This tour is for music lovers of all ages. Learn about the great musical legends of New Orleans then and now: from Jelly Roll Morton, to Mahalia Jackson, to Fats Domino, to Trombone Shorty, and the Marsalis family. Gain a greater understanding of the different musical genres that make this city and nation great: from the music of slavery, to traditional jazz, to the industrial rock of the 1990’s! If that isn’t enough enjoy your walk through one of, if not the oldest, African American neighborhoods in the United States - the Treme, made famous after Katrina by the television series of the same name. You will learn some of the history of this incredible neighborhood and the role it has played in New Orleans for almost 300 years. 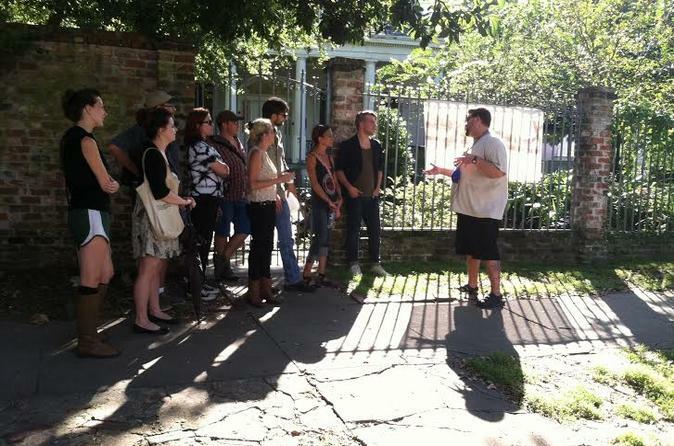 As one of the most beautiful, historic, and important neighborhoods in the history of the United States, Treme is the birthplace of many famous musicians and a great center of culture and life in our city, so this is almost like getting two tours in one! Special Offer - Book with us and save 10% compared to another travel site! - Book Now!